If you live in Vernal or the surrounding areas, including Colorado and Wyoming and need a trusted veterinarian to care for your pets and livestock– look no further. Your animals’ health and well being are very important to us, and we take every possible measure to give your animals the care they deserve. 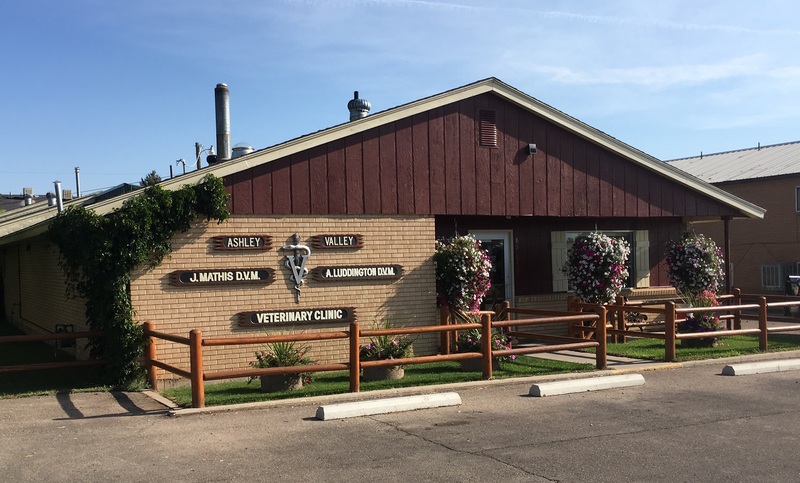 Ashley Valley Veterinary Clinic is a full-service veterinary clinic and welcomes large and small animals in need of medical, surgical, dental and preventative care. Our clinic has been in the same location providing service for over 50 years. Beyond first-rate care, we make our clinic comfortable, clean, and friendly. We are happy to offer a number of resources that enable you to learn about how to take better care of your animals. Please feel free to browse our site, particularly the informational articles. The best veterinary care for animals is ongoing nutrition and problem prevention, so becoming knowledgeable about preventative care is essential to the quality of your animal’s health. If you have any questions feel free to call 435-789-4322. Our office is very easy to get to -- just check out the map below. We at Ashley Valley Veterinary Clinic look forward to serving you. John graduated from Colorado State University in 1981, then moved to Vernal to begin his work. He has been providing excellent care to animals in the Vernal area for 36 years. John loves being a Veterinarian and taking care of your beloved pets and livestock. He is a member of: AABP, AAEP, UVMA, AVMA, and AASRP. John was the UVMA's Veterinarian of the year in 2010. We strive to provide complete care for our patients. Learn more about all the services we offer.